The world's first autonomous orchard sprayer has been announced, using GPS, vehicle sensors and software to remotely monitor crops. California-based Crinklaw Farm Services has unveiled the Global Unmanned Spray System (GUSS), which has worked alongside engine company Cummins. GUSS is helping to ease the labour challenges facing agriculture, and provide gains in operational efficiency, precision and safety. Using a combination of GPS, vehicle sensors and software, a single employee can remotely monitor up to 10 GUSS sprayers at once across a variety of orchards. Ann Schmelzer, Global General Manager of Agriculture at Cummins, added: “As an incredibly innovative sector, agriculture provides a fantastic platform for autonomy, particularly when higher operational efficiencies and increased productivity are primary objectives. “Integrating ultra-clean diesel engines with autonomous service vehicles is a great example of how the agriculture industry continues to move forward. We are excited to power such groundbreaking innovation,” she said. 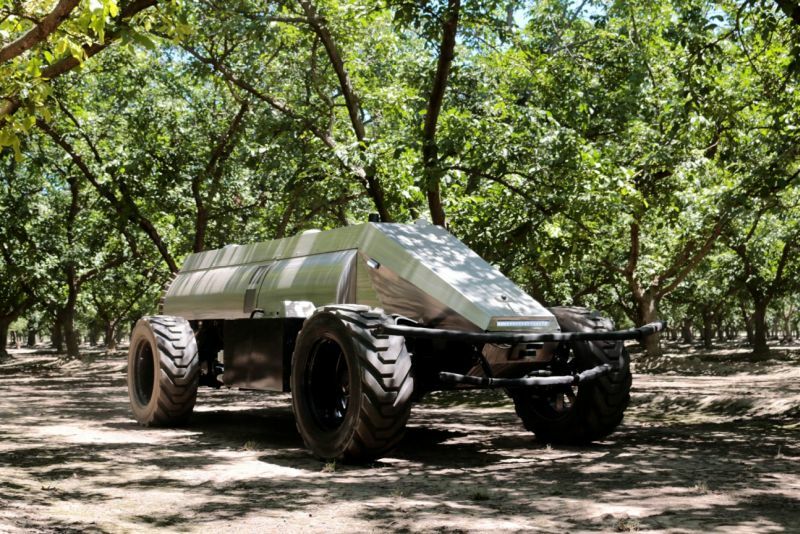 So far, Crinklaw Farm Services has built seven Cummins-powered GUSS autonomous sprayers which operate as part of their custom spray application service for mid to large scale tree farms. In the UK, an increasing demand for home grown produce, coupled with concern about workforce shortages in the wake of Brexit, are leaving farmers across the UK facing a unique set of pressures. Its why initiatives such as the Hands Free Hectare, which harvests crops using automation and robotics only, have recently achieved major milestones. The Automated Brassica harvesting in Cornwall (ABC) is another example of British automation, which looks to assist growers with the challenges they face in harvesting crops.